A host of top Democratic donors say they won’t donate to or raise funds for Sen. Kirsten Gillibrand’s potential 2020 bid after she led the charge in ousting fellow Democratic Sen. Al Franken last year amid sexual misconduct charges. Gillibrand defended herself on Monday, arguing that the women who accused Franken of groping, forcible kissing, and other alleged wrongdoing deserve to be believed. But some of Gillibrand’s supporters worry the criticism from powerful donors will scare off other Democrats and undermine the senator’s higher ambitions. When Sen. Kirsten Gillibrand led the charge in pressuring former Sen. Al Franken, the Minnesota Democrat, to resign last year amid mounting allegations of sexual misconduct, many hailed the move as both moral leadership and smart politics. 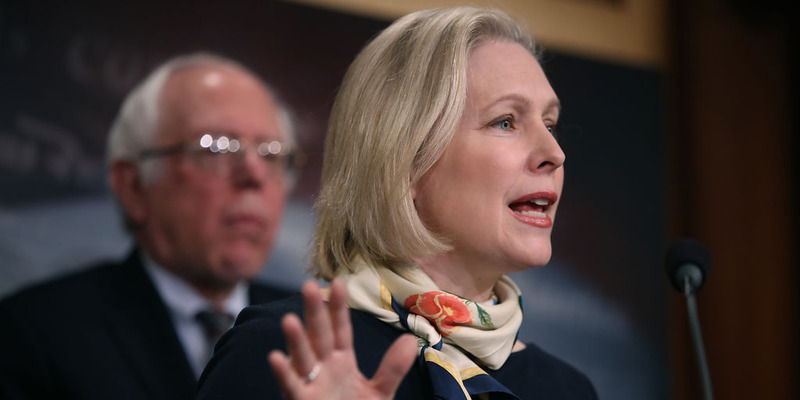 As a majority of Democratic senators followed her call, Gillibrand cemented her status as an unapologetic defender of women’s rights and boosted her credentials on the progressive left. But nearly a year later, many Democrats – including some of the party’s wealthiest donors – remain convinced that Franken’s ouster was unjust – and more than a dozen party patrons told Politico on Monday that that they blame Gillibrand and, as a result, will never donate to or raise funds for her potential 2020 bid. Gillibrand fought back against the criticism on Monday, reasserting her argument that the women who accused Franken of groping, forcible kissing, and other alleged wrongdoing deserve to be believed. “Silencing women for the powerful, or for your friends, or for convenience, is neither acceptable, nor just,” she wrote. The senator’s supporters insist she made the right move, but they’re privately concerned that the blowback will hurt her. Many of Gillibrand’s allies see the resistance to her decision as gendered. They insist Franken was already on his way out when Gillibrand wrote a Facebook post pressuring him to resign last December – and argue that Democrats couldn’t have held the moral high ground on these issues without a zero tolerance policy. “We love blaming women,” one progressive Democratic donor, who asked for anonymity to protect relationships with other Democrats, told INSIDER. 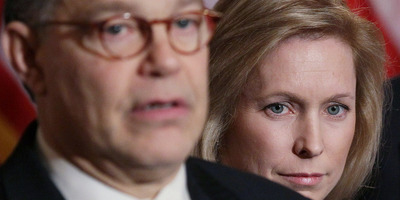 Gillibrand’s spokesperson, Glen Caplin, also issued a defence of the decision, arguing that morality should always take precedent over political expediency. “Leadership means standing up for your values when it’s hard. Kirsten has never been afraid to stand up for what she believes in and never will be. You can disagree with her views, but holding her accountable for someone else’s behaviour towards women is wrong, and her values aren’t for sale,” Caplin said in a statement to Politico. The progressive donor argued that the criticism of Gillibrand isn’t coming from any of her longtime supporters, but rather from those, like billionaire philanthropist George Soros, who supported Franken and never had skin in the game for Gillibrand. While Gillibrand remains broadly popular among Democrats (she was re-elected this year with 66% of the vote – and received nearly 400,000 more votes than New York Gov. Andrew Cuomo), it’s clear that many in the party hold a grudge against her over Franken. The former “Saturday Night Live” star remains beloved among many on the left. Mitch Draizin, a New York hedge fund founder and Democratic donor, doesn’t think Franken deserved to be pushed out (“I don’t really think Franken did anything that bad compared to other things we’ve seen,” he said), but added that he wouldn’t base his support for Gillibrand on that single decision – and would back her in 2020 if she’s the strongest contender. Richard Ravitch, a real estate developer and former lieutenant governor of New York, is more critical of Gillibrand. It’s likely too early to know whether the ongoing backlash against Gillibrand will undermine her 2020 chances. And some argue a strong grassroots campaign could overcome resistance from a few powerful voices. But Gillibrand’s allies are privately concerned that enough voters agree with these donors and have a long memory.